Most of us have a way, a preference. These speaks to how we like things. For example, some like their coffee black, some like it with brown sugar crystals in the raw, others with simple syrup. And even others would say, forget the coffee, give me tea. It is after the prompt and as they say, that interests me, because they become interesting. Their ritual becomes a mirror into their character – part of the makeup of who they are. 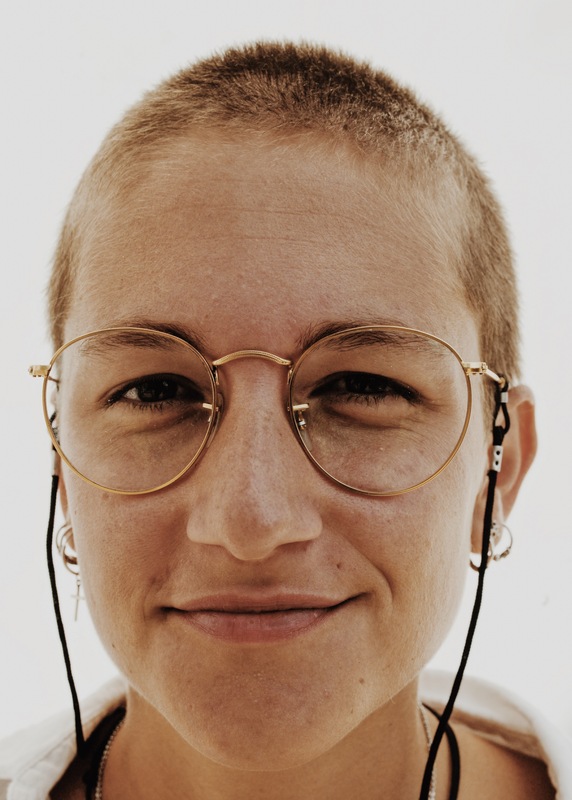 Cris is a photographer, with a shaved head, specs, some tattoos and an accent that distinguishes even her in a fashion week crowd of photographers and fashionable. She’s the kind of person, born for documentation because she’s vocal, real and knows her truth. She drinks tea – from a water bottle and a beer glass. This entry was posted in coffeetography and tagged fashion week, girl, ny, Specs, tea. Bookmark the permalink.